La la la, dum di di dum, a wop bop a loo bop a wop bom bom – why are songs riddled with non-words masquerading as words? Hrishikesh Hirway from Song Exploder and songwriter Tony Hazzard explain. 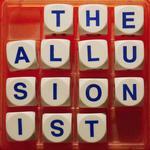 Read more about this episode at www.theallusionist.org/vocables, including "How to write the perfect pop song" and "a little history of the BBC's The Old Grey Whistle Test"